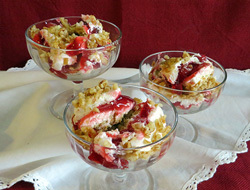 This Recipes Section contains our most recent recipe additions that you and your family will enjoy. An old-fashioned donut just like grandma used to make. 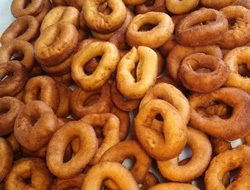 These homemade donuts are sure to bring back memories of when grandma made fresh donuts as a special treat. 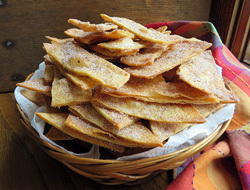 Delicious, crispy tortilla chips sprinkled with cinnamon and sugar to create an extra special treat. 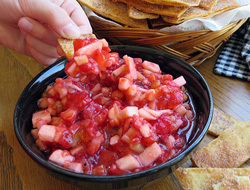 These crispy chips are perfect for dipping in fruit salsa but also make a great snack just for munching. 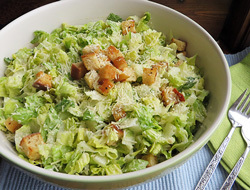 The homemade croutons add just the right touch to this Caesar salad, along with the special Caesar dressing. This salad makes a nice side for any meal. Add a little chicken and you will have a great dinner salad. 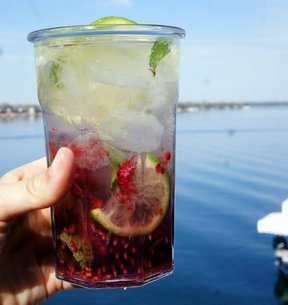 Light and refreshing, this cocktail is the perfect summer cocktail. 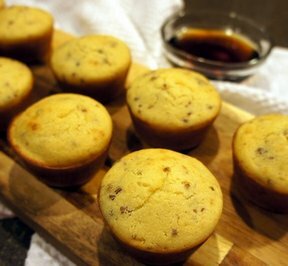 Sweet and warm, these muffins are the perfect side to any meal. 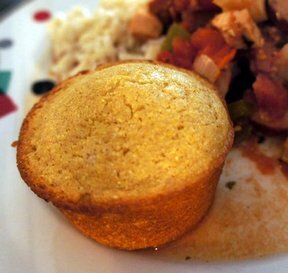 The cinnamon compliments the corn bread to perfection. Crispy pretzel crust topped with layers of cream cheese and cherries. 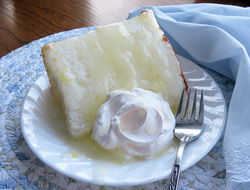 A yummy dessert that is a perfect end to any meal or just a nice treat with a hot cup of coffee. 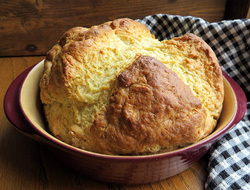 This Irish soda bread is perfect to serve with any stew, soup or chili. It also goes great with spaghetti. Serve it warm as an extra treat. 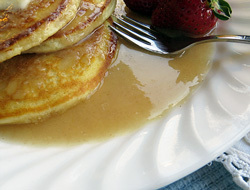 A creamy sweet syrup that is perfect on your favorite pancakes or waffles. Fluffy and delicious pancakes. 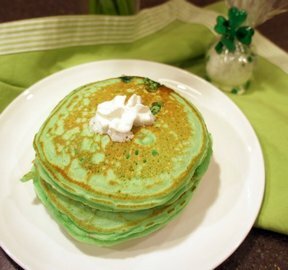 Perfect for any brunch or a special breakfast for the kids before going to school. 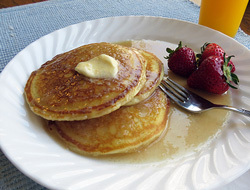 Spread with butter and top with their favorite syrup. 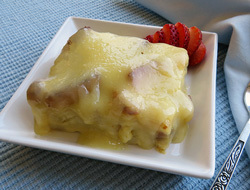 Easy bread pudding with a delicious vanilla cream sauce poured over the top. Serve the bread pudding and vanilla cream sauce while they are warm and everyone will be asking for seconds. 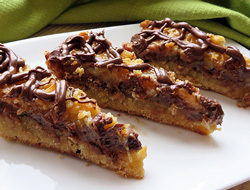 This yummy cookie pie is similar to Samoas Girl Scout cookies but more gooey and scrumptious. A homemade treat that is irresistible. 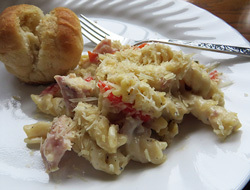 Leftover ham, rotini, mozzarella, and Alfredo sauce are combined to create a tasty pasta dish. The cheese and Alfredo provide a creamy sauce for the ham and rotini. 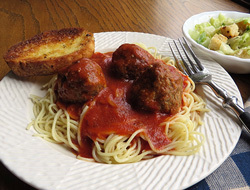 This easy to throw together dish makes a great easy weeknight meal. 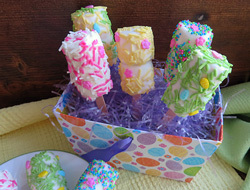 A special treat that is perfect to make for Easter or any holiday. 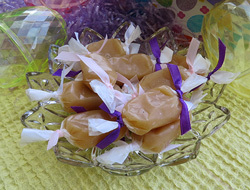 Everyone will love the creamy smooth texture and delicious taste of these caramels but you will especially love how easy they are to make. An everyday salad that is perfect for those meals that you don't have time to fuss with a special salad. It is a favorite of many so you can't go wrong serving it with most any meal. 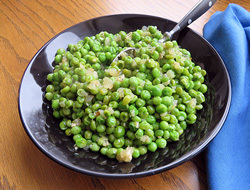 Liven up simple green peas with a burst of flavor from sauteed onions and garlic. 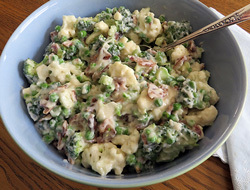 You will love the extra flavor added to these sweet green peas. 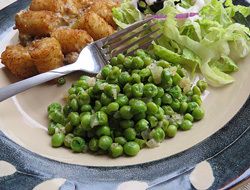 A simple side dish of green peas dressed up with onions and garlic. A quick and easy vegetable that will go great with any meal. 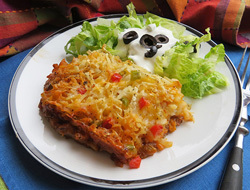 A cheesy taco flavored casserole with everything you need for a complete meal. 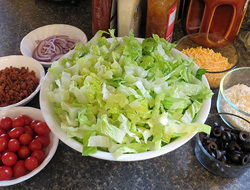 Serve with lettuce, sour cream, salsa and any other of your favorite taco fixings for a great Mexican-style meal. 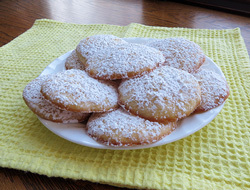 With a light lemon flavor and a little dusting of powdered sugar, these little cookies will catch everyone's eye but its taste will have them coming back for more.